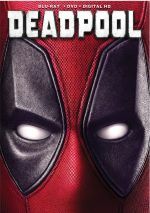 Foul-mouthed mutant mercenary Deadpool brings together a team of fellow mutant rogues to protect a young boy with supernatural abilities from the brutal, time-traveling cyborg, Cable. Though 2018�s Deadpool 2 made a bucket of money, its �R� rating meant a substantial percentage of potential viewers couldn�t see it on the big screen. As a remedy for this, an edited �PG-13� version called Once Upon a Deadpool hit theaters right before Christmas 2018. Once doesn�t simply offer a sanitized version of Deadpool 2, though, as it adds other changes. The basic plot remains the same, as super-powered Wade �Deadpool� Wilson�s (Ryan Reynolds) girlfriend Vanessa (Morena Baccarin) gets killed at the start of the film. This leaves Deadpool suicidal, but his healing abilities won�t allow him to die. To move along, Deadpool agrees to join the X-Men, and they find themselves with a new threat. Time-traveling cyborg Cable (Josh Brolin) arrives from the future to kill a young mutant named Russell (Julian Dennison) so Deadpool and the others attempt to protect him. All of this remains in Once, though editing alters the full progression. In addition to the heavily decreased levels of violence, gore and profanity, the main alteration comes from a framing device. 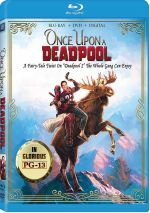 In Once, we view Deadpool 2 ala 1987�s The Princess Bride. Deadpool kidnaps Fred Savage (Fred Savage) and reads the story of Deadpool 2 to him, with all the �R�-rated stuff omitted. This means that while most of Once consists of the same � or similar but sanitized � footage from Deadpool 2, we occasionally cut to Deadpool and Savage. They offer commentary on the story with a comedic orientation. Going into Once, the big question becomes whether it merits attention on its own. For those who couldn�t see Deadpool 2 due to its rating, then sure � a neutered Deadpool 2 beats no Deadpool 2 at all. For those of us who did see the original film, though, the pleasures of Once become less obvious. As a curiosity, Once brings an interesting exercise, but I can�t imagine I�ll want to watch it again. Unquestionably, the Savage segments offer the most entertainment value. Of course, they�re not anything innovative, as they pursue the same kind of fourth-wall-breaking/self-referential material in Deadpool 2 already, but they�re still funny. On the surface, it�s a hoot to see Savage semi-reprise his childhood role, and the interludes provide amusement. They�re consistently enjoyable. However, we don�t see a ton of the Deadpool/Savage dynamic, especially as the film progresses. The vast majority of the Deadpool/Savage sequences pop up in the movie�s first act, so we rarely get a look at the pair during the rest of the film. Beyond the Savage bits, it becomes more difficult to judge the effectiveness of Once, especially because the film doesn�t solely clean up the violence and profanity. It also makes some fairly substantial alterations that remove entire scenes and give the movie a different feel. None of these changes occur for the better. Though the two still seem very similar, Once comes across as less impactful. It simply loses a lot of the dramatic and emotional heft seen in the �R�-rated version. I guess � honestly, it�s hard to know how Once fares on its own because I can�t view it with �fresh eyes�. I already watched Deadpool 2 twice, so even when Once made substantial changes, I �filled in� the missing parts with my knowledge of the original cut. Still, even with those mental gymnastics, Once simply never feels right. I like the new bits with Savage and think it�s a fun re-edit to watch once, but when I view the story again in the future, I�m definitely headed back to the full �R�-rated Deadpool 2. Footnote: fans will recognize the �mid-credits� footage from prior iterations of Deadpool 2. However, when the end credits conclude, we get a new sequence that finishes the Savage thread. Once Upon a Deadpool appears in an aspect ratio of approximately 2.39:1 on this Blu-ray Disc. This became a largely strong presentation. Sharpness worked fine for the most part, though some exceptions occurred. A few interiors came across as a little on the soft side, but those remained infrequent and minor. I saw no signs of jaggies or moir� effects, and the film lacked edge haloes or print flaws. If you suspected Once would come with the modern standard teal and orange palette, you�ll get what you expected. I�d like to see action flicks dispense with those conceits, but given their restraints, they looked appropriate here, and a few other hues occasionally popped up as well. I also felt happy with the solid DTS-HD MA 7.1 soundtrack of Once. The mix offered plenty of opportunities for lively auditory information, and it took good advantage of these. From the opening scene of Deadpool�s assault on various baddies to gunfire to explosions to other action elements, the mix filled the speakers on a frequent basis. The track placed information in logical spots and blended all the channels in a smooth, compelling manner. Speech was always distinctive and concise, too. This mix worked well for the film and added to the experience. Whereas the original Blu-ray of Deadpool 2 included a slew of extras, Once Upon a Deadpool throws in a DVD copy but no actual bonus materials. A neutered version of Deadpool 2, Once Upon A Deadpool adds some fun material. However, the original version of the film plays better and remains the superior cut. The Blu-ray offers largely good picture and excellent audio but it lacks supplements. Once works for kids not old enough to see Deadpool 2, but others should stick with the �R�-rated film.